RS Components has announced an expansion of its RS Pro test and measurement portfolio with the release of its Wi-Fi cloud-connected data loggers. The new Pro-Mote Wi-Fi range combines an unobtrusive waterproof design with a range of measurement probes that enable single and dual-channel temperature and humidity monitoring. These devices are simple to set up using a smartphone App, and offer up to two years of battery life. 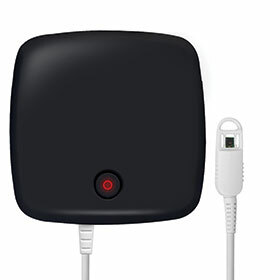 Ideal for monitoring temperature and humidity in refrigeration or storage units, the data loggers can record and upload data to the EasyLog Cloud, enabling users to wirelessly stream, record and view temperature and humidity data using a web browser, smartphone or tablet. The units are also configurable with alarms for any breaches of threshold. In addition, the EL-Mote range of data logger accessories is available, including external probes for measuring temperature and humidity, as well as a dedicated power supply.